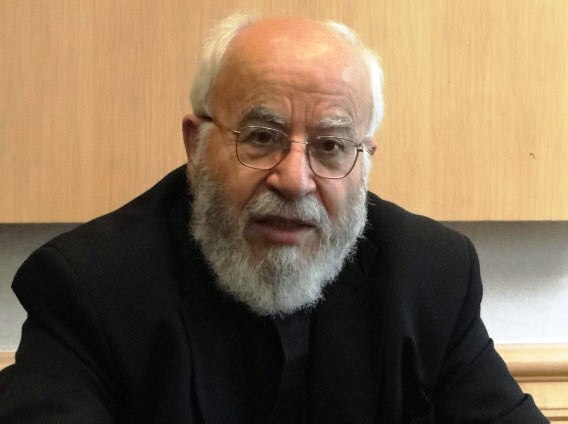 The Simon Wiesenthal Center urged Pope Benedict XVI on Monday to immediately denounce a statement by Melkite Catholic Archbishop Cyril Salim Bustros at a Vatican Synod on the Middle East. “This political stunt, wrapped in theological garb, not only insults every Jew, but flies in the face of the statements and actions of Pope John Paul II and Pope Benedict XVI, both who have visited Israel and expressed solidarity with her people,” said Rabbis Marvin Hier and Abraham Cooper, dean and founder and associate dean of the Simon Wiesenthal Center, respectively. The two men had audiences with both pontiffs. “The archbishop’s statement comes at the end of the conference wherein the so-called ‘Palestine Kairos’ document – which openly denies the right of Israel to be a Jewish state – was presented at the Vatican for the first time. These developments demand immediate action by the pope. Hopes for peace in the Middle East will only come when both sides recognize the rights of the others. These latest moves, left unchallenged, will damage interfaith relations and embolden anti- Semites and terrorists,” said Hier and Cooper. A spokesman for the Vatican, Father Federico Lombardi, issued a statement Monday that sought to play down Butrus’s remarks and distance the Holy See from them. “If one wants a summary of the Synod’s position, attention must currently be paid to the “Message,” which is the only written text approved by the synod in the last few days,” Lombardi said. Lombardi, without specifically mentioning Bustros, embraced the synod’s call for “an end to the occupation” while suggesting that the Arab bishop’s statements belonged to the collection of “individual” contributions that did not express the synod’s official stance.